<<Diario de los miércoles en “El Jardín de LAURA” (14/11/2018). Desayuno en “El Jardín de LAURA” (18/11/2018). 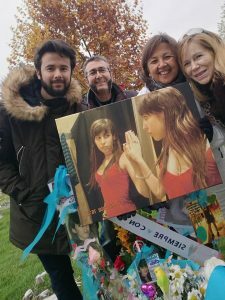 TE QUEREMOS NUESTRA NIÑA LAURIITA. This entry was posted on lunes, noviembre 19th, 2018 at 09:15	and is filed under Laura. You can follow any responses to this entry through the RSS 2.0 feed. You can leave a response, or trackback from your own site.